While scratching or itching may seem normal for pets, this behavior can be a sign of an undiagnosed skin disorder or allergy. Without proper treatment, an allergy can be incredibly painful for dogs and cats. Our Brantford veterinarian offers pet dermatology services to properly diagnose and treat these skin problems. 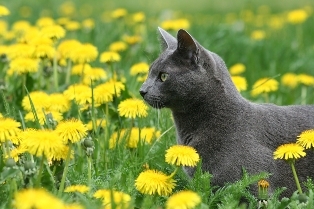 Just like humans, pets can be allergic to many things, including tree pollen, grasses, ragweed pollen, dust and mold. Unlike humans, however, pets suffer from allergy symptoms that include intense itching. Pets may scratch or bite at their skin in an attempt to manage this discomfort. Without proper pet dermatology treatment, this scratching can even lead to secondary skin infections or seborrhea, a flaky skin condition. Since many allergies have similar symptoms, our veterinarian may recommend skin testing to determine the precise allergy. Diagnosing the correct allergy is important for effective treatment and reducing allergen exposure. As part of our pet dermatology services, our veterinarian also treats common pet skin conditions, including ringworm and mange. Sarcoptic mange is caused by tiny parasites called mites. Redness, incessant itching, hair loss and open sores are symptoms of sarcoptic mange. Mange can easily be spread between pets, so prompt treatment is essential. Like mange, ringworm is also easily spread to other animals and requires prompt care. Depending on your pet’s skin condition, we may prescribe a topical treatment or recommend oral medication. Feline acne is a common skin problem affecting cats. While mild feline acne cases will naturally clear up without treatment, so cases require medical care. If your cat’s acne lasts for more than two weeks, contact our Brantford vet. We can recommend a medicated topical treatment and ensure a secondary infection does not also occur. Some pets also suffer from acral lick granuloma, a skin condition that may initially be triggered by boredom or stress. Repeated licking of the same spot, typically the front paw, causes raw, infected skin. An Elizabethean collar may be the only way to break the cycle of licking and itching. Food ingredient intolerance can also trigger scratching and itching. Some pets can be intolerant to ingredients commonly found in pet foods, including beef, chicken, corn, soy and wheat. If our vet suspects that a food intolerance or allergy is the cause for your pet’s scratching and itching, then an isolation diet can help determine which ingredient is the culprit. We also provide dietary counseling services should this food intolerance require a specific diet. If you suspect that your pet may be suffering from an allergy or skin condition, we strongly recommend scheduling an appointment with our animal hospital. A diagnostic appointment is the best way to evaluate your pet’s condition and determine the precise cause. Prompt treatment will not only help your pet feel better, but also minimize the risk for complications, including secondary infections. Contact our animal hospital today to learn more about pet dermatology and schedule your appointment!